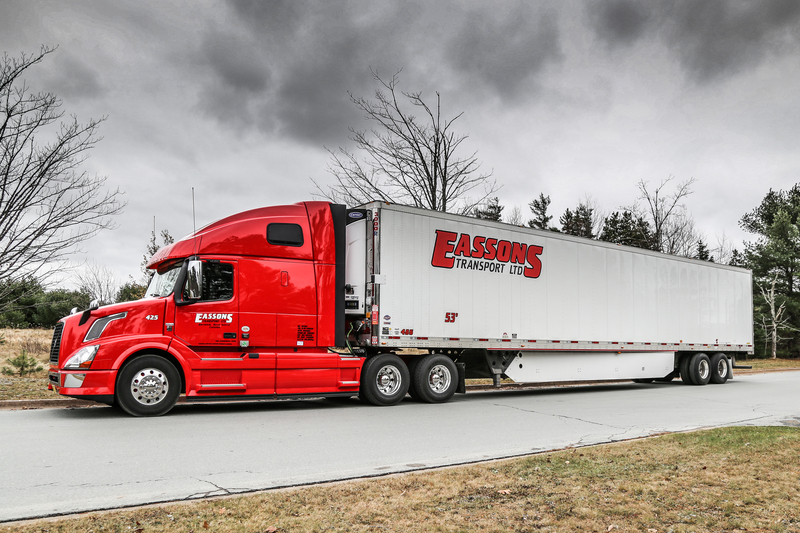 Hundreds of long-term and committed Eassons employees are proud to continue the legacy of safely delivering dry, refrigerated, and frozen goods to customers Canada-wide with a modern fleet of over 325 tractors and 480 trailers. Customers count on us to deliver coast to coast and everywhere in between from British Columbia to Newfoundland, over the border and across the United States and back into Canada. Value added 3PL shipping specializing in dry, refrigerated and frozen across all of Canada and the United States. Providing all points in Canada and the USA with exceptional temperature controlled transportation services specializing in fresh and frozen freight from Nova Scotia to Florida. Year after year, the success of Eassons Transportation Group is the result of one thing – our customers! Dependable and fast domestic and cross-border temperature-controlled shipments for customers requiring a high degree of personal attention and customer service. Shipping smaller and more frequent shipments? Eassons can help with a consolidated shipping strategy to maximize efficiency that will potentially reduce freight costs. ETL Logistics is Eassons value added 3PL service that leverages over 300 trusted relationships with thoroughly vetted carrier partners across Canada and the United States. With decades of experience, we are well trained in customs procedures that provides quick border clearance. Eassons is an active participant in C-TPAT and FAST.